This season seems to herald a return to the floral in each of its forms. From detailed photographic and highly drawn detailed botanical florals to the soft romantic and vintage watercolour styles. Bi colour prints also make a comeback, for a simple more graphic style. One notable point to observe is the vintage leanings in style in all categories. Starting with Bottega Veneta’s gorgeous and sumptuous delicate & detailed florals, we kick the season off. Romantic, vintage and periodic are some of the key words to highlight here. Use for woven separates, to add a fresh take on print and/or lingerie styles mixed with lace and soft trimmings. A little more graphic and therefore harder in look is Marcus Lupfer. The sharp drawing of the style is toned down by the pastel and pretty colours. Add to this, a slight quirkiness and stylised drawing style. Makes for a fun and unique print! Add a contemporary style to your botanical florals by creating individualised unique handrawn motifs. 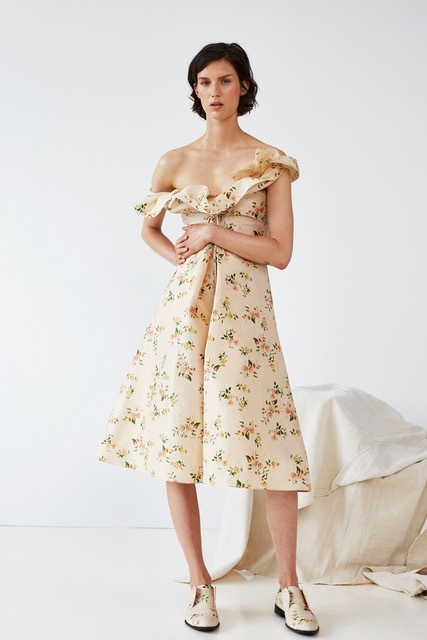 We love this seasons soft romantic florals executed very well via Brock Collection and Vilshenko. Vintage in style with pale pastel grounds. Repeats are spaced in a classic repeat formation and deliciously pretty. Little House on the Prairie-esque. 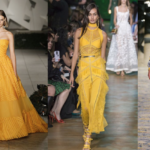 They naturally look amazing in floaty chiffon dresses and maxi shapes. 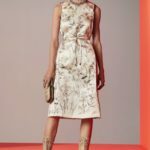 The “barely there” watercolour soft hues of Monique L’huillier add an ethereal quality to the print that can give a highly commercial feature to any collection. 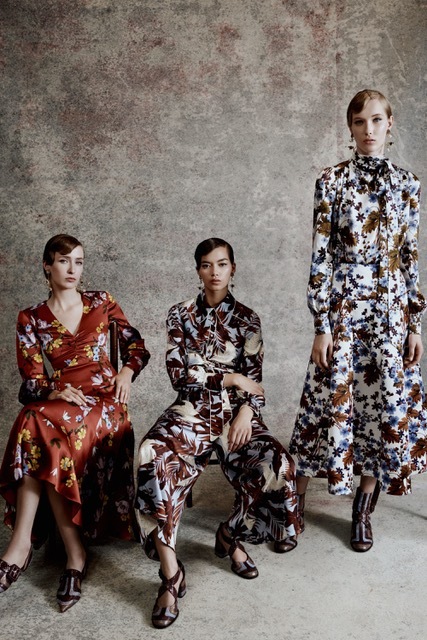 One area of print gaining popularity again and again is stylised florals, as seen at Erdem. Spaced in repeat with a slight historical botanical reference, these are perfect for separates. 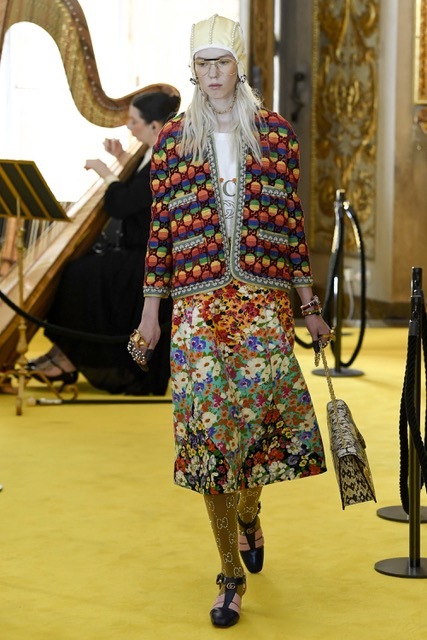 Exciting to see such a wild explosion of big vintage, historical blooms at Gucci. Wallpaper style and country garden inspired, these are great for dresses. 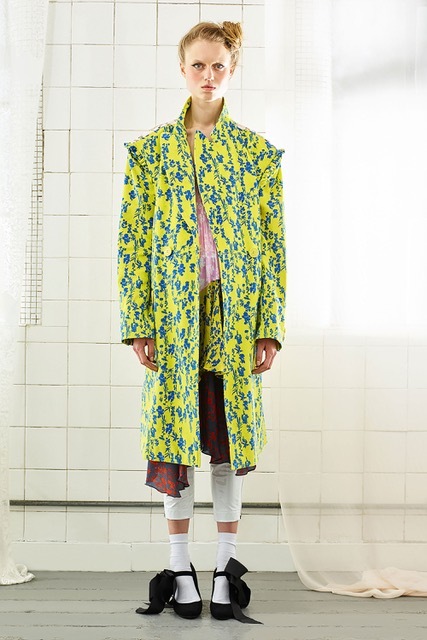 Chintz style at MSGM with stand out colour mixing creates an awe inspiring contemporary print. Mix and match unsurprising colours to create a fresh take on classic motifs. Simple bi colour prints from Preen Line, add a novel way to show florals. Pared down and minimal and trellis shape in motif. Even mix and match the same print on one garment in different colourways to add and establish more interest and create the “mix and match” look. Daisy formations at Alice & Olivia are cute and fun. Adding a difference, with one clashy bright colour with another. © 2017 No Name Design Ltd. All rights reserved.